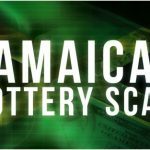 Dealing with lottery scams has become a constant thorn in the side of national lottery officials worldwide. 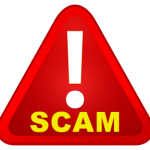 Once a scam is reported the national lottery will issue a press release warning the public of the details of the scam. 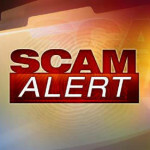 The information usually includes details on how the scam is being conducted. This usually is accompanied with a warning not to give any money or personal information in order to claim a prize. But scammers are constantly on the lookout and once their scam has been exposed they go back to the drawing board and come up with something else. Lottery players are constantly playing hoping that each particular draw will reveal they picked the best lotto numbers. 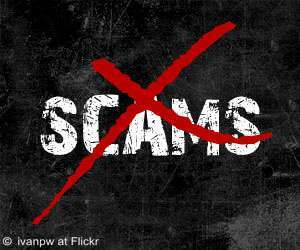 Scammers pry on this need to win and current affairs to develop lottery scams. Every scammer takes advantage of what they know best in their surroundings. An example is the increase in frauds from Jamaica since it became a call center hub in 2005. The frauds are call based and most of the fraudsters use disposable cell phones to avoid being traced. The calls are made to elderly Americans. They convince them that they have won the lottery and should send money in order to process their prize. This increase in frauds from Jamaica has caused the withdrawal of western union temporarily from the area. Western Union officials said that they usually try to monitor money transfers to ensure that their company does not violate certain rules. Depending on what is happening in any town scammers take advantage of the hype to corn people. Just a few days after the Olympic Games were launched an email scam starters doing the rounds informing people that they had won a lottery being conducted by the Olympic committee. Taking advantage of all the hype around an event is a big part of scamming. They know that there is a high probability of people falling for the scam. It is important to know that the best lotto numbers do not fall from the sky you have to pick them. To avoid being scammed lottery players and the public at large are advised to be keen on certain things. First if you did not take part in any lottery then you cannot be a winner. Lotteries do not involuntarily enter people by virtue of their email addresses or phone numbers. Lotteries do not require any advance payments in order for the prize to be given. So be careful not to send anyone any money. Avoid giving strangers your personal information no matter how genuine they seem. This information can be used to gain access to your bank account. If you are asked to keep the fact that you have won the lottery a secret then this should also raise a red flag. You should be the one to decide to remain anonymous. Generally lotteries like to publicize the fact that people are winning in order to attract more players. The best lotto numbers are the ones you pick from knowing the game and playing to win. Check out the Lottery Scammers Strive to Look More Legitimate now.